"Our music has no limit"
On a recent Sunday night at Afrikan Freedom Station, a one-room venue in Johannesburg’s residential Westdene neighborhood, live music runs together with cars, sirens and chatter seeping in from the street. 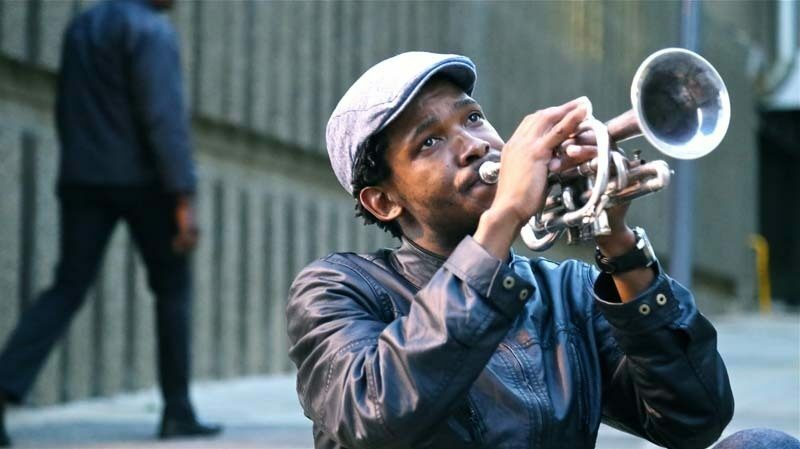 The room has no stage, so the 28-year-old trumpeter Mandla Mlangeni prowls the floor in a state of controlled exhilaration. Slight and bright-eyed in a newsboy cap and white button-up shirt, he guides his five-piece Amandla Freedom Ensemble through flaring, loose-limbed originals, letting his enthusiasm lead. His elbows flap out to draw more sound from the two tenor saxophones. He twists in place to cue a new groove. The Freedom Station fits about 50, half of that seated, and tonight most of the crannies are filled. 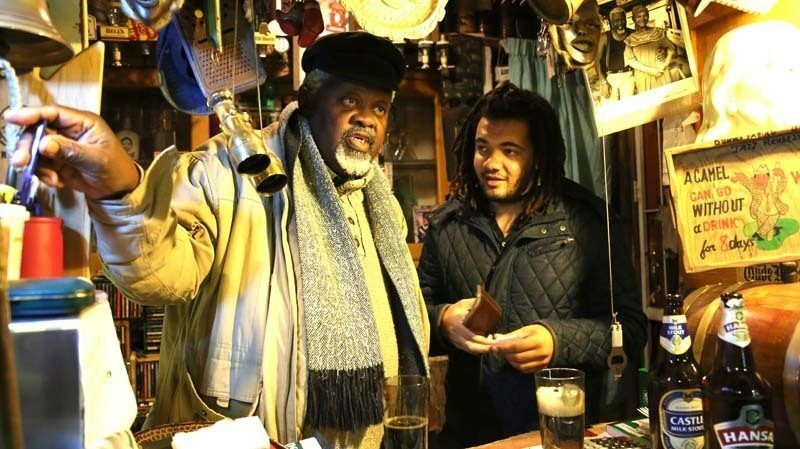 Part jazz club, part gallery and part boho salon, the place was founded in 2012 by the visual artist and documentary filmmaker Steve Kwena Mokwena. It hosts a couple of jazz shows a week, but it’s rarely closed. Swing by in the middle of the day to find a throng of artists and students, most of them on the tin-roofed patio out back, trading cigarettes and ideas. Conversations on music don’t stay on sound for long, but steer into questions of identity and heritage and the responsibilities of art. “There’s a great energy I get from the Freedom Station,” the bassist Herbie Tsoaeli says, sitting out back on a Friday afternoon. 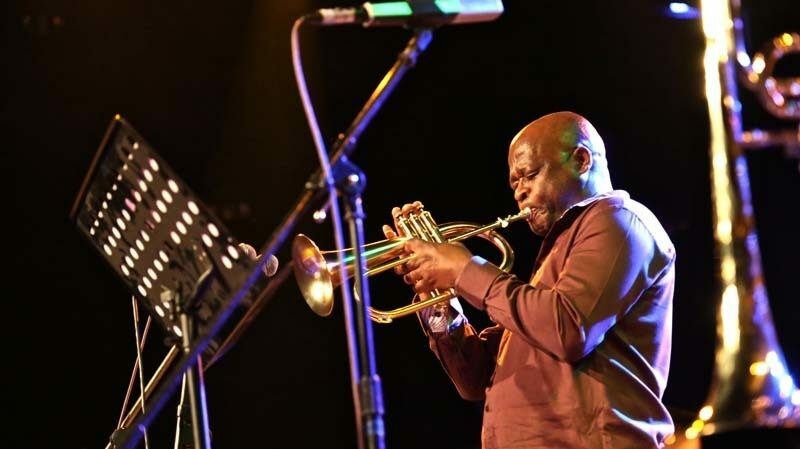 Tsoaeli, who’s “50-something,” has become an elder statesman of South African jazz, and when his African Time quartet performs here he’s often the eldest in the room. He likes introducing this audience to a piece he calls “Monk in Africa.” It’s a reworking of Thelonious Monk’s “Well, You Needn’t,” and it threads the standard’s springy melody into a bobbing, steadfast, 10-beat cycle with subtle ties to the folk music of South Africa’s Eastern Cape. The porous category known as South African jazz grew up with, and against, apartheid. In this country more than anywhere else, the music has always symbolized resistance. It’s also provided a mixing pot for the myriad cultures that define the nation. Jazz here means complexity, integration, syncretism-the things that apartheid fought to extinguish, and that eventually extinguished it. The Orbit, Johannesburg’s major downtown jazz club, opened at the beginning of the year and has enjoyed strong turnout from the start. It’s a friendly foil to the Freedom Station: Cover and bar prices run higher, and the clientele is of a different sort-business-casual, median age around the late 30s or early 40s-though there is overlap. The South African middle class has tripled over the past 14 years, according to a new study by Standard Bank. (Set aside for a moment the corporation’s incentive to pump up that number.) Most of that growth has occurred among black and mixed-race populations, which until 1994 were excluded from much of commercial society but have always been jazz’s base. The music isn’t becoming mainstream or softening-though most young musicians have defined their styles through university programs rather than informal networks. It continues to occupy the fertile terrain of the margins, critiquing and imagining alternative models: musical, moral, communal. Similarly, the country’s young adults often treat the most infamous years of their history from a place of conscientious remove. Having grown up with apartheid in the rearview, this generation is starting to pursue radical changes on a new level. It’s evident in culture but also in politics, where the anti-capitalist Economic Freedom Fighters-founded just last year-received the third most votes in May’s general elections. The National Union of Metalworkers of South Africa, the country’s largest trade union, recently embarked on a five-year plan to found its own party. The Cape Town-based drummer Naidoo, another bandleader with vision and breadth, also released a gripping album this year. 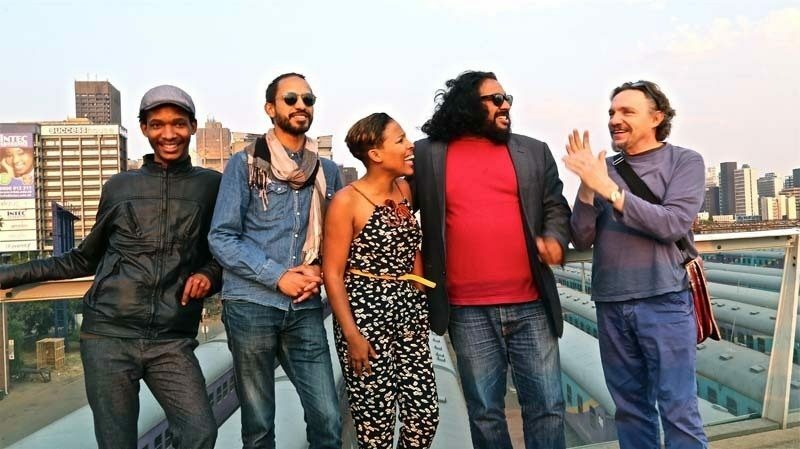 The double-disc Brotherhood features his quintet, Kesivan and the Lights-almost a roll call of young leaders on the city’s jazz scene-supplemented by the luminary trumpeter Feya Faku. The album’s 12 original tunes are as buffed and modern as anything you might hear coming out of Brooklyn today, but they have an air of darkened urgency. 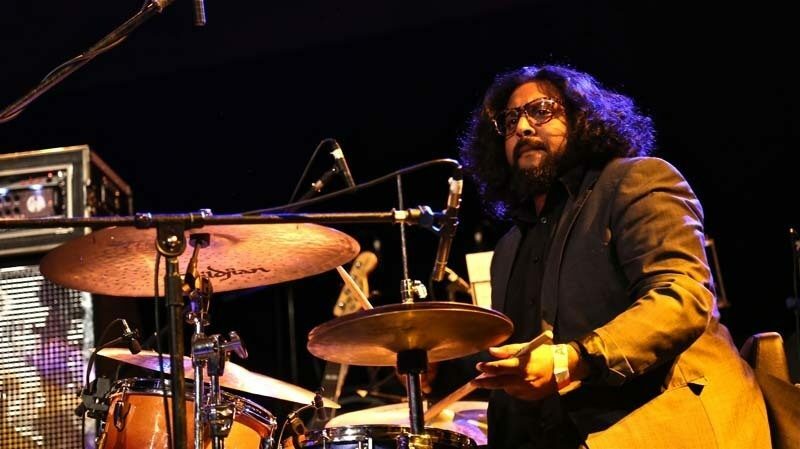 Full-band pieces like “Time With the Masters” and “Contact” move with jet-stream focus toward a point of ascent that they never reach; the relentless density of Naidoo’s drumming offers buoyancy and sturdiness. Naidoo co-runs Straight No Chaser, one of a few Cape Town jazz clubs, and he was in the drum chair there on a late September evening when Shane Cooper, the bassist in the Lights, led his own quintet. Most of the material came from Cooper’s album, Oscillations, which won this year’s South African Music Award for best jazz album, including the tune “Dead Letters.” On it, the pianist Bokani Dyer’s solo packed luster and affirmation into small statements, building to a wash of positivity-like Keith Jarrett, but less firm. Nearing a summit, he pulled Cooper and Naidoo into cascading rubato, and big chords and cymbal conjurations flooded into a single sound. South Africa has 11 official languages, and its population includes a wide pool of African ethnicities; South Asians and Pacific Islanders (many of whom descend from slaves or indentured servants imported between the 17th and 19th centuries); Europeans who settled or immigrated; and a vast mixed population. Beginning in 1948, the apartheid government initiated a process of stratification that would ultimately divide the population into four groups: white; Coloured; Indian; and Bantu, or black African. The government disallowed blacks from claiming citizenship outside of prescribed “homelands,” which made up just 13 percent of the country’s land. Especially quixotic, it sought to divide those areas according to ethnicity, though in reality the black population had long been a melting pot unto itself. In 1863, the Confederate warship Alabama docked in Cape Town, and members of the city’s various ethnicities heard casual performances from the African-American slaves onboard. The music-and that of professional minstrel troupes that arrived soon after-spread swiftly, largely because it jibed with native South African folk traditions based on rich vocal harmony. Cape Town’s so-called Coloured population, largely composed of mixed-race people with some combination of Khoisan and Asian ancestry, began to form jubilee singing troupes in the late 1800s, mixing in musical traditions from Africa and the Asian Pacific. The result was a tartly rhythmic style that came to be known as ghoema, which in turn would become the rhizome of Cape jazz-a pattering and sunny music that developed in the 1960s, built on major chords and charged with a veiled pathos. 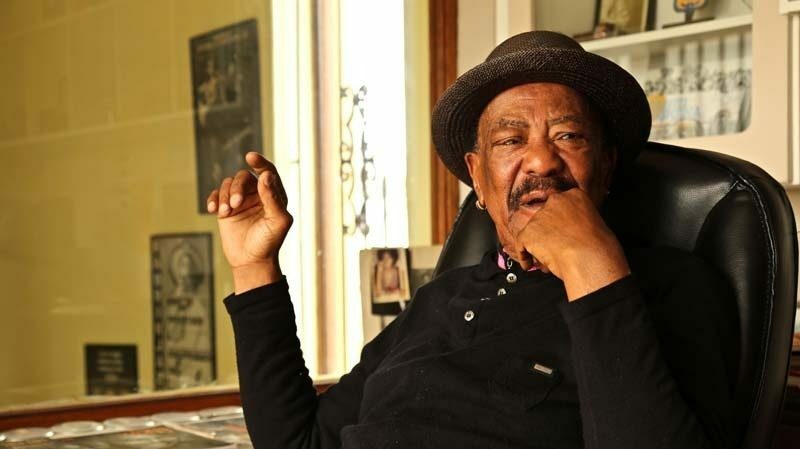 In the earliest part of the 20th century, musicians in Johannesburg’s black community developed the first form of South African jazz: marabi, danceable music centered on a briskly revolving I-IV-I-V chord structure. 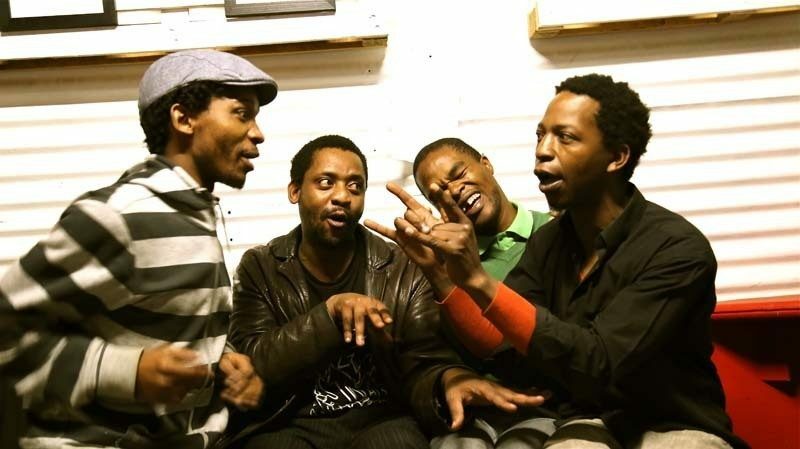 Around 1948, as the National Party instituted its first apartheid policies, marabi musicians began to put added emphasis on the heavy, stomping beat of traditional Zulu music (the great-grandparent of kwaito) and stepped up the rhythmic complexity of their improvising. 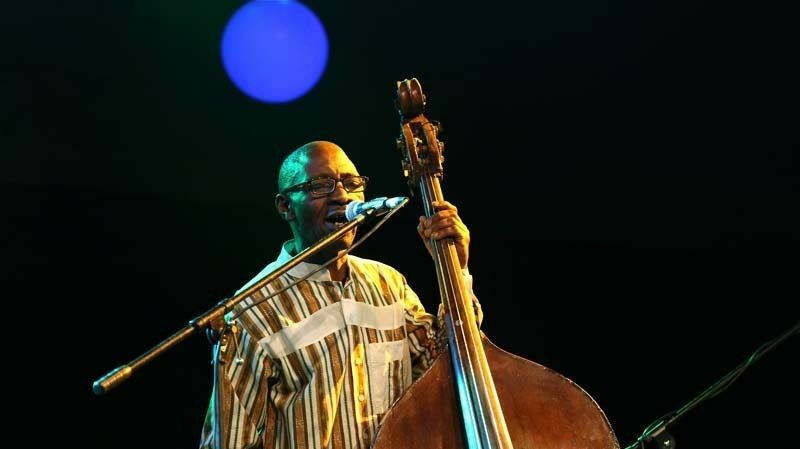 The new music was dubbed mbaqanga, or simply “African jazz,” and it defined the streets and styles of Sophiatown-Johannesburg’s black cultural mecca until the police forcibly displaced residents of color to Soweto in 1955. The next canonical moment in South African jazz is widely considered to be the 1960 recording of the Jazz Epistles’ Jazz Epistle: Verse 1, the country’s first honest bebop record, featuring future international stars Hugh Masekela, Dollar Brand (later Abdullah Ibrahim), Jonas Gwangwa and Kippie Moeketsi. But two years later, at the 1962 Cold Castle National Jazz Festival in Soweto-the continent’s first open-air jazz fest, and the rare show from that era to have been recorded-a little-known band from the Eastern Cape called Eric Nomvete’s Big Five gave a more prophetic performance. The only song that survives on record is called “Pondo Blues,” an elegiac reference to the years-long anti-apartheid rebellion that took place in the Pondoland region (it was brutally suppressed by government troops in 1960, the same year as the notorious Sharpeville massacre). The tune begins with a slow, charcoal harmony played by three horns. To an American, it could scan as a mysterious premonition of Rahsaan Roland Kirk’s later sound. But to a Xhosa speaker, it’s an innovative ode to umngqokolo, the ancient throat-singing technique that projects bulbous and gravelly overtones, and can seem to demand an acknowledgment of the divine. After a minute of this, the rhythm section kicks in and the three horn players, including a young Mongezi Feza, unleash rabid, tragic postbop improvisations over a plodding vamp with almost no connection to Western music. The response from the crowd when those drums arrive is like a breaker hitting the shore. “He surprised everybody with that,” the drummer Louis Moholo says of Nomvete. Moholo, who was 22 at the time and also performed at the festival, has since become a legend of South African and avant-garde music. “The voodoo about it, man. The vibe. The rhythm.” Against a backdrop of political debasement, it was a declaration: Our music has no limit.